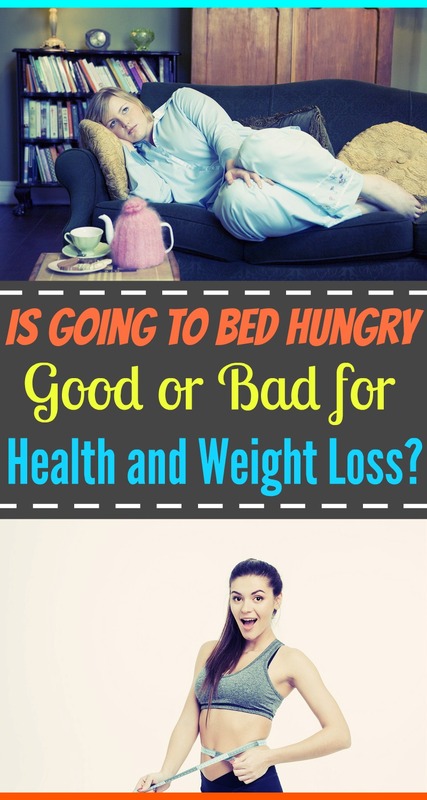 Home » Blog » Is Going to Bed Hungry Good or Bad for Health and Weight Loss? 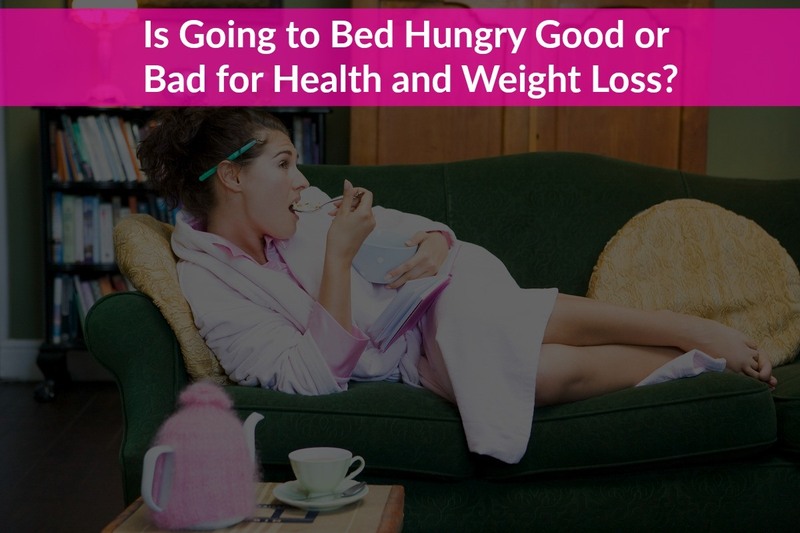 There has been much debate in recent years as to how eating close to bedtime impacts weight loss and overall health. A general consensus is that keeping caloric intake reduced in the last hours before resting fares well for weight loss and management. That said, there are various factors to consider; what works best for one individual may not be ideal for your lifestyle. There are also several valid arguments in defense of a small bedtime snack. Certain implications are attached to either fasting or having a snack before getting to sleep. Both options deserve a proper examination. In fact, unique health benefits accompany each choice. Why Fast Prior to Sleeping? Numerous dietitians and wellness experts have championed this method over the years. It also has yielded favorable results to countless individuals seeking sustainable weight loss. This proves effective for a whole multitude of reasons. Eating too close to bedtime increases the risk of heartburn. All of the unpleasant and seemingly minor symptoms aside, acid reflux also happens to increase your risk of esophageal cancer. What’s more, acid reflux has been linked to asthma. Having a later dinnertime or making it the most sizeable portion of your day is not advocated for weight loss. The vast research concludes that the timing of your meals is equally important to portion size. This study instructed some of the participants (all younger women, with an mean age of 33) to make lunch the largest meal of the day, whereas the remainder of the group was told to consume the most at dinnertime. Ultimately, those who ate a more sizeable lunch were rewarded with further weight loss. On average, the women who had more calories for dinner dropped 4 less pounds than other participants. You might not crave breakfast if you eat too late at night. Breakfast has been called the most important meal of the day for a reason. This is because your first meal is fully responsible for revving up your metabolism for the entire day. It’s strongly advised to eat breakfast each morning; in time, you’ll wake up ready for the nutritional kickstart. When going to bed with a full stomach, there is less opportunity for your body to crave these essential calories first thing. When there is more for the body to process around bedtime, falling asleep can be burdensome. The human body utilizes enzymes that are circadian in operation. Due to this, organs responsible for metabolic processes face difficulty when it comes to the coherence of handling said calories and sources of nutrients during later hours. The majority of individuals who take in the better percentage of calories during later hours burn fewer calories when resting. What if You Prefer a Snack Before Going to Sleep? It’s entirely understandable how some people crave a treat before getting to sleep. Perhaps you work in the evenings; in cases such as this one, a healthy weight can still be achieved through mindfulness. 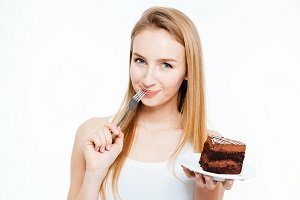 With the right approach, eating a little bit shortly before sleeping can actually aid in your weight loss goals or simply promote weight management. As previously mentioned, going to bed truly hungry is not enjoyable; there is no fault in consuming a few more calories in the evening, within reason. If you like to have a snack, opt for something healthier. When bedtime snacks are mentioned, most people automatically picture chips, cookies and other less nutritious options. While keeping everything in moderation has never hurt anyone, junk food isn’t the best bet right before laying down. A few great substitutes to enjoy include Greek yogurt with berries, some cut-up veggies with hummus or an apple with peanut or almond butter. There are effective methods of reducing any residual appetite prior to sleeping. If you still find yourself hoping to curb any appetite that arrives towards sleep time, there are a few things you can try. Try brushing and flossing your teeth immediately after dinner. This sends the message that you’re finished eating for the day. Having some unsweetened hot tea also works well. High quality sleep is essential for weight loss, and falling asleep hungry can be difficult! Insufficient shut-eye, whether referring to the hours calculated or the deepness of sleep, makes weight control troublesome. Elevated cortisol is to blame, responsible for stress levels. The body also adapts to insulin in a concerning way; spiked levels or a built-up resistance (the main symptom of diabetes) will increase fat storage in the cells rather than maximizing the energy this fat can provide. If having a small, sensible bite not too long before turning the lights off helps you drift to sleep, it shouldn’t cause any harm. Some dietitians conclude that eating a little something else when bedtime is near can actually increase your metabolism. It’s widely-accepted public knowledge that higher metabolism is key when it comes to achieving and holding onto a healthy weight. While there is so much information available to read on the matter, metabolism does tend to increase with sufficient caloric intake. It’s a complicated science and all individuals are somewhat different, however, this is another theory to consider! It’s also worthy of mention that most daily calories should be received from whole foods rather than beverages. A daily glass of milk (or a dairy-free substitute) is perfectly fine and pays great dividends healthwise. All in all, there are pros and cons for both options. A process of trial and error might be necessary to find the best fit for your goals and needs. » Eating right around bedtime can cause heartburn. » Making dinner the heaviest meal of your day may adversely affect weight loss efforts. » If eating later at night, you may not crave breakfast. » It can be difficult to fall asleep on either an overly full or empty stomach. » Light, healthful snacking is best. » There are ways to reduce your appetite in those final hours. » Being well-rested is a key component to weight loss and maintenance. » With the proper approach, a snack before turning the lights out may end up boosting your metabolism!